Ireland look to be on course to bounce straight back from their opening round defeat to England, leading Scotland 22-13 in Murrayfield with less than ten minutes to play. Tries from Conor Murray and Jacob Stockdale gave the men in green the edge at half-time, with Scotland striking back through Sam Johnson as a result of a Joey Carbery error. But the Munster outhalf dusted himself down at the break and has put in an excellent shift in the second-half. 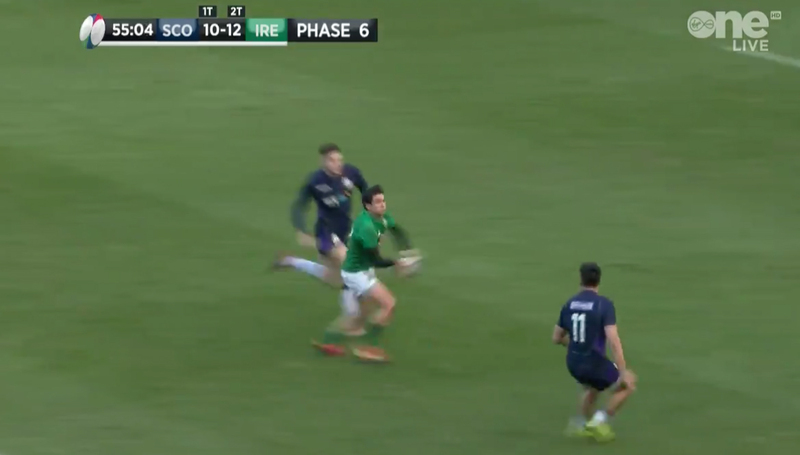 His opportunist break to set-up Earls with a sumptuous pass for Ireland’s third try could be crucial. Joey Carbery wriggles through the Scotland defence! Keith Earls does the rest!